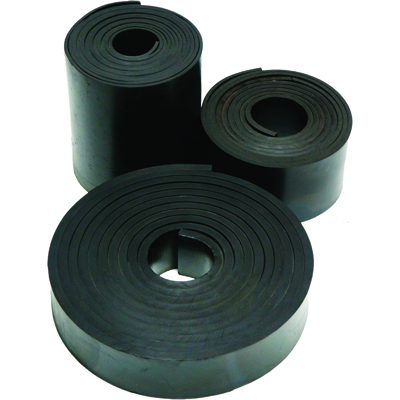 Skirtboard rubber is used to keep material on the conveyor belt, preventing falling hazards and damage to conveyor components. Made from Styrene Butadiene Rubber (SBR) with a 55-60 Shore A durometer, skirtboard is engineered to not damage the conveyor belt it is in contact with. 3/8 inch thick, specify width and length of material. Beveled edge to control small (fine) particles.